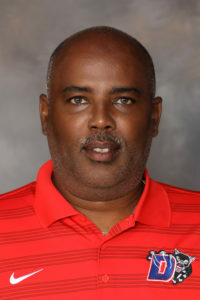 Interestingly, Samples coached 10 years at Skyline prior to his arrival at Duncanville. Roberson was his offensive coordinator. I mentioned to Samples that a victory tonight would tie his 249 career wins with Carter Coach Allen Wilson as the winningest black coaches in the history of the UIL. Duncanville scored first with 3:48 left in the first quarter on an 11-yard blast up the middle by Kelion Elder. PAT by Josh Delgado was good. Duncanville led 7-0. A deep centered ball over the punters head by Skyline set Duncanville up for the score. Elder would lead all scorers with 17 carries for 201 yards. With 17 seconds in the opening quarter JaQuinden Jackson’s 60-yard run brought the score 14-0 after the successful Delgado kick. Jackson had 10 carries for 88 Yards. Skyline’s only scoring came on quarterback Velton Gardner’s 10-yard run with 11:32 left in the first half. Jonathan Hernandez PAT was good. Score was 14-7 Duncanville. Gardner is a highly recruited Texas Tech prospect according to Max Prep, a rating service that reports to the university. Duncanville scored in the second quarter with a 60-yard gallop by Trazon Connley with 8:33 left in the half. PAT by Delgado was good. Delgado kicked a 26-yard field goal before the bloodletting ceased for the first half. Duncanville led 24-7 at the break. 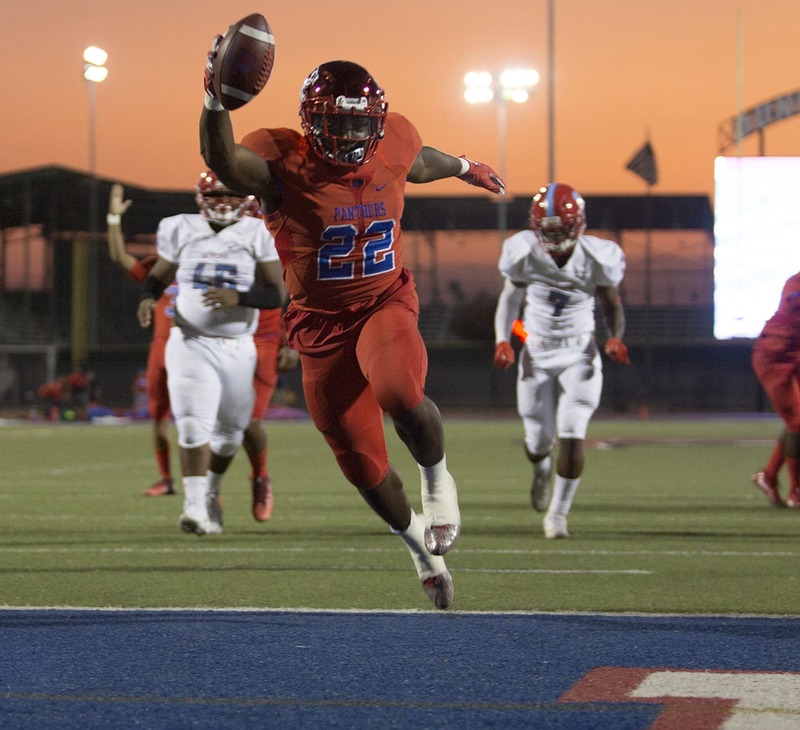 Duncanville would go on to score three touchdowns in the second half. Elder scored twice on runs of 46 and 67- yards respectfully. By the fourth quarter Duncanville substituted freely. Junior running back Gyasi Smith scored a TD on his solo carry with 8:57 left in the game. Final score 45-7 Duncanville. Duncanville had some tremendous offensive stats for the game. Totaling over 400 yards rushing and going 15-21-0 for 165 yards in the air is indicative of great offensive power. But there was a down side. Duncanville fumbled 3 times losing 1. Fumbles often occurred after picking up substantial yardage. The Panthers were penalized 15 times for 145 yards. On one series they were penalized three plays in a row for either off sides or motion. Pass interference and personal fouls didn’t escape the flags either. After the game Samples was proud of the win, but not particularly happy. When asked about the above-mentioned issues, he responded. Duncanville has a bye next week before returning to Panther Stadium September 28 at 7 p.m. to face Irving.